InvertaTop Valvetop Squeeze Bottle Dispenser, unique valve design allows dispenses liquids from the bottom and filling from the top! 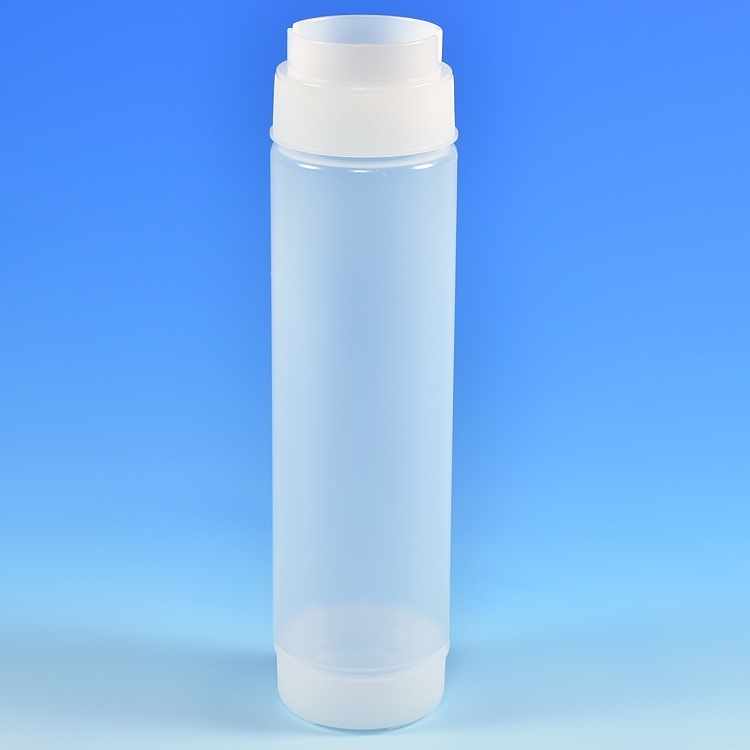 Tablecraft Squeeze Bottles are known by professional chefs for their superior quality. 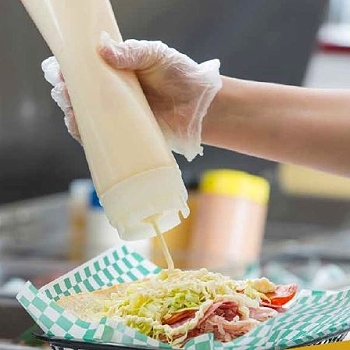 Valve design works with a variety of both high viscosity, fast-flowing liquids such fruit coulis, vanilla sauce and salad dressings, as well as low viscosity, slow-flowing condiments and sauces from chocolate sauce, caramel sauce, glazes, ketchup, and mayonnaise. 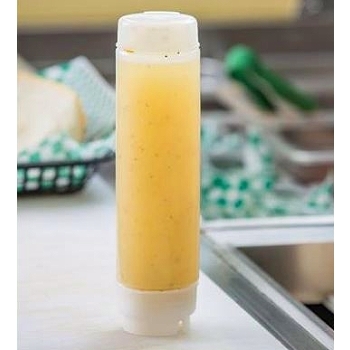 Valve design will dispense any sauce with up to a 1/8" particle size. 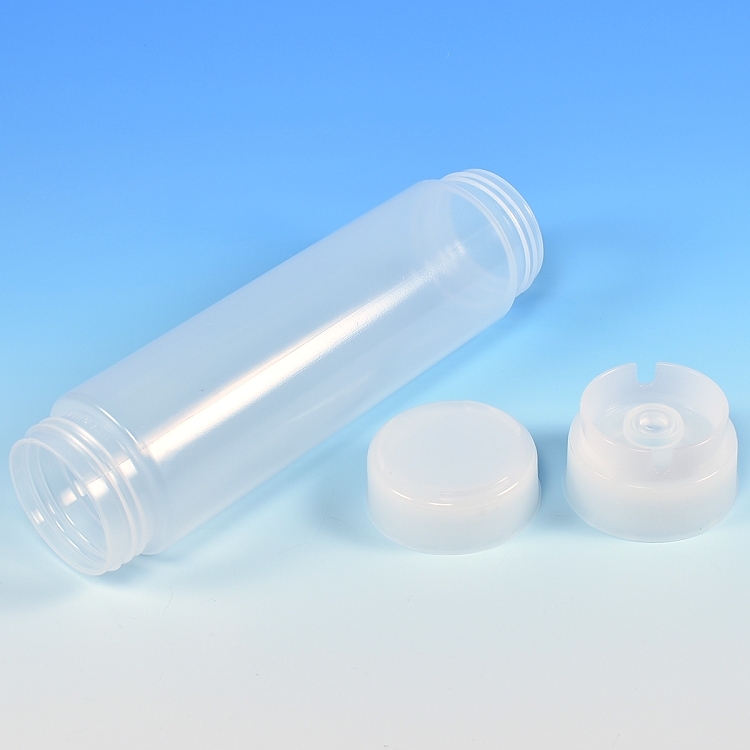 The Bottom ValveTop Cap and Top End-Cap twist on and are easily removed for filling and cleaning. Wide mouth bottle design allows for easy filling. Opening size: 2 1/16" (53mm) diameter.